The main culinary varieties popular with onions for poultry stuffing and for flavouring rich meats like pork or duck. Also in homemade sausage, omelettes, cheese and bean dishes. Sage tea gargle is valuable for sore throat. 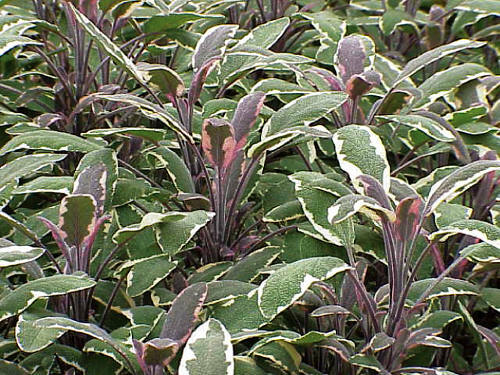 Aromatic foliage with white and pink streaks. Grow in/outdoors in full sun. Winter mulch.